If, like many people, you have had difficulty keeping up with your mortgage payments over the past few years it may seem that your only recourse is to let your home go into foreclosure. Although you may wish to see a legal professional to explore your options there is a real estate option that may be good strategy in your particular case. Short sales are often done on homes prior to foreclosure. Of course, like any other strategy there are pros and cons to consider before making a final decision to do a short sale. A short sale occurs when a property is sold at a price that is lower than the amount of money the homeowner actually owes to the mortgage company or the bank. In these cases the mortgage lender must agree to the “short” payoff, thus the terminology “short sale.” Banks and mortgage lenders have specific regulations regarding which properties will qualify for a short sale. If you should decide on attempting to facilitate a short sale in lieu of foreclosure, the first step is to call your lender. Official approval from your lender will be required as they are agreeing to a discounted payoff out of escrow. Do bear in mind that even a short sale, just like a foreclosure, has serious financial and credit reporting consequences. A real estate attorney and a tax accountant may best advise which strategy is most to your advantage. Your tax professional or accountant will be able to advise you of any potential income that may be taxable as a result of your short sale. Do consider a consultation with a real estate attorney to answer your questions and concerns. Remember, careful exploration of all your options is wise and prudent. Among the advantages of a short sale are the following: avoidance of foreclosure, your mortgage loan will be considered paid in full, the impact on your credit standing is less than a foreclosure, and after a short sale you may still be able to purchase another home sooner than you would if you let your home go into foreclosure. 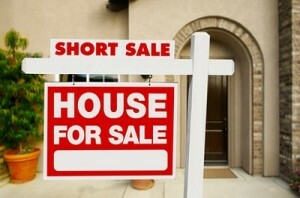 Among the disadvantages of a short sale are the following: you will need to assume full responsibility for the sale of your property, a process which can be very time-consuming, should you be fortunate enough to find a buyer, you may be required to move very quickly, perhaps sooner than you expected, and finally, all the proceeds from the sale will go directly to your mortgage lender and not to you. Making a decision on how best to handle the loss of your home is never easy. However, with assistance from your lender, who has specialized loan officers who are able to guide consumers like you, and the advice of a real estate attorney, you will be able to arrive at the decision that is right for you. See the newest Palm Springs area short sales here.